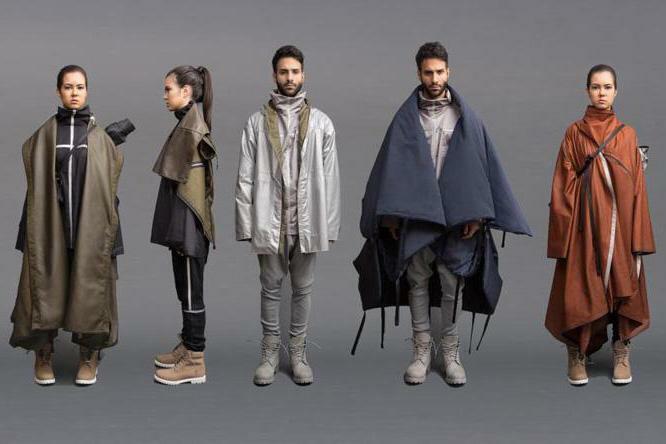 Angela Luna’s collection includes jackets that have multiple uses for refugees; they can perform double-duty as tents, sleeping bags, and baby harnesses. Since the start of the Syrian civil war, millions have been displaced from their homes. Often desperate civilians have been compelled to move with little more than the clothes on their backs. Angela Luna, 22, wants to make clothing that works on behalf of refugees. In her senior year at Parsons School of Design in New York, the Beverly resident has developed an ingenious collection of jackets that can double as practical items for shelter and safety, including tents, sleeping bags, and baby harnesses. It’s a dramatic shift from what Luna imagined she’d design after graduating from high school at Nazareth Academy in Wakefield. A fan of fashion reality show “Project Runway,” she arrived at Parsons (part of The New School) intent on designing evening wear — “Chanel or Valentino,” she says on the phone from New York. As for her social and political awareness at the time? It wasn’t until she settled into college that she found herself drawn to issues of social responsibility. As a high schooler, she’d been a Model United Nations delegate, but now the plight of real people in dire situations around the globe seized her attention, and Luna grew increasingly frustrated with the indulgences of her chosen field. Two weeks into her final year at Parsons, Luna scrapped her senior thesis in favor of what was then a vague notion of helping refugees. On Monday, May 23, the collection she designed could earn her the school’s prestigious Designer of the Year honor. Luna’s collection features poncho- and windbreaker-style outerwear that can unfold and fasten into two-person and family-sized tents, backpacks, and, in one case, an inflatable flotation device. 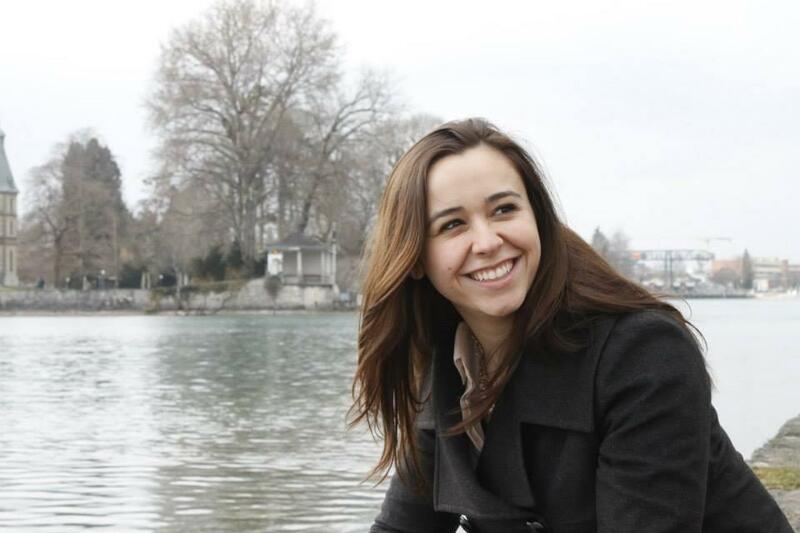 In the fall, she will begin two years of business school in Amsterdam, where she plans to develop a business model. Angela Luna could earn Designer of the Year honors at Parsons. Her approach wasn’t always so innovative. Luna spent a lot of time in the fashion trenches during her undergraduate years, with internships at Aeropostale, Abercrombie & Fitch, and the Newburyport-based lingerie manufacturer Bennett and Company. Even in preschool, Luna recalls, she was drawing girls in dresses. At age 10, she learned to stitch at Sew Creative, a storefront and workshop in Beverly. But in college, the more Luna learned about the fashion industry, the less enamored she became. “There are probably only 50 to 100 designers who have authentic work,” she says. They design for the runways. Their work then influences other designers. In turn, the retail brands knock off those ideas. “It’s really a chain of copying,” she says. During a semester abroad, she studied at Parsons Paris, where the world-class shopping scene opened her eyes to the reality of couture: the best designers are creating for only a tiny percentage of the public. Back in New York, her academic advisers were initially skeptical about her refugee collection. They were afraid it would appear as though she was trying to capitalize on a crisis. But Luna convinced them her intentions were sincere. In recent years, Parsons faculty and administration have updated their curriculums to encourage student engagement with the industry, she says: How to improve it, how to challenge it to bring about positive change. Last year’s Parsons Womenswear Designer of the Year, Lucy Jones, won for her designs for wheelchair users. 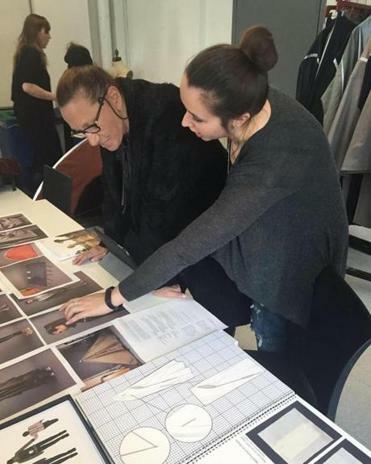 Angela Luna goes over some of her work with famed designer Donna Karan. In the meantime, Luna hopes to enter a partnership and go into production in order to donate her products to humanitarian organizations and those in need. If and when she launches, she’s hoping to provide jobs for refugees.